Homeowners typically invest in water conditioning technology as a solution for aesthetic issues, but they’re often pleasantly surprised to find out that their water conditioner can also help extend the lifespans of their water-using appliances. Additionally, water conditioners can even make these appliances more efficient for day-to-day use, producing better results with less soap or detergent. Hard water buildup can cause the appliances to wear down faster, break more frequently, and even work less efficiently. 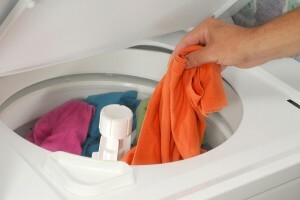 When faced with these issues, homeowners often try to remedy the problems by adding more soaps and detergents, or repeating cycles with the appliances. However, because this doesn’t address the underlying issue of water hardness, it still yields unsatisfactory results. Designed to replace hardness minerals with less damaging “softness” ions, water conditioning systems can provide a better solution. Conditioned water doesn’t create the same stubborn scaling in pipes and appliances that unconditioned water does, which in turn eliminates clogs and break-downs related to scale buildup. Homeowners can often get several additional years of use out of their appliances by investing in a water conditioning unit. Additionally, conditioned water gets better results from cleaning products. With a conditioner, homeowners can use less dishwashing soap or laundry detergent per cycle, and still get sparkling glassware and soft linens. Since 1953, RainSoft has been providing homeowners with solutions for their water quality woes. If your water-using appliances haven’t been working as well as they should, one of our water conditioners may be the answer. To get more information about our water conditioning technology, contact RainSoft today.